I was thrilled with the wonderful response from all the bloggers out there. From the forty people who joined, only about seven are people I already know. The rest, I guess, are either silent readers or new readers too. Either way, I had a lovely time going around the different blogs of those who commented. 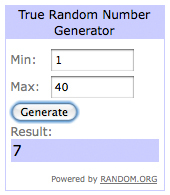 This contest was a great way for me to finally do some blog hopping. And that’s something I haven’t done in YEARS! I’m so excited to give away these moleskines, because I want to let others experience the love for these notebooks. I reckon they’re truly the best gift for any occasion! Congratulations, ladies! :) I’ll contact both of you soon to get your delivery addresses, so don’t forget to check your email. For seven years, this blog has chronicled a whole lot of experiences and noteworthy memories of my life. That’s a pretty long time to be babbling about myself, but I know there are still a handful of people out there who still read my posts, no matter how mundane my adventures are. So in light of this blog’s seventh anniversary, I figured it was time to actively involve my readers, including those silent ones too, by holding my very first blog giveaway. 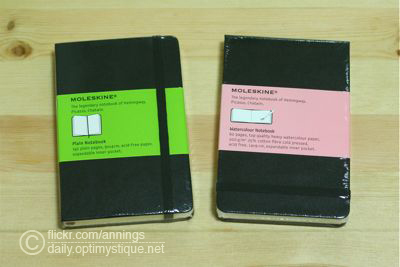 One (1) Moleskine Plain Pocket Notebook and One (1) Moleskine Watercolour Pocket Notebook. There will be TWO WINNERS. 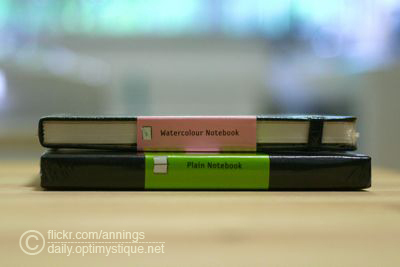 The first will receive the Plain Notebook, while the second the Watercolour Notebook. Blog about this giveaway and make sure you add a visible link back to this post. Subscribe/follow my blog through the Google Friend Connect (found on the right sidebar). 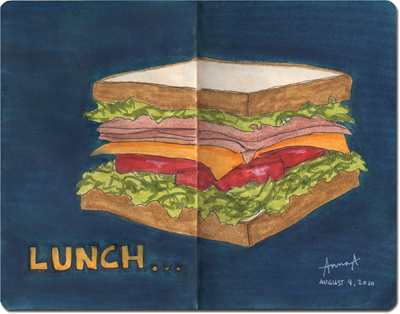 If you have a feed reader (like Google Reader), add/subscribe to my blog feed. 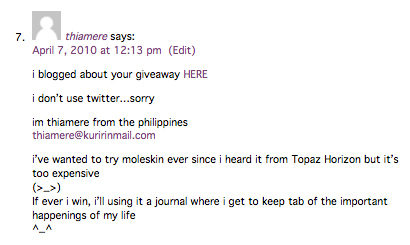 Post a comment in this blog with your name, email, country of residence, and state why you want a Moleskine and what you’re planning to do with it if you win. 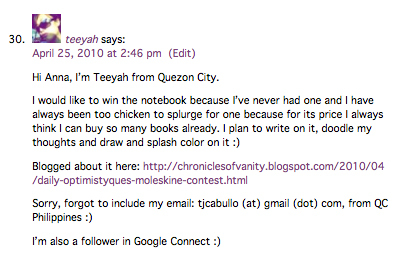 Plus, paste the links to your blog/tweet about this giveaway too. Winners will be electronically selected based on this post’s comments (so make sure you comment! ), through random.org. 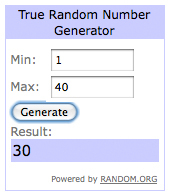 * I would highly prefer real readers to join this giveaway. If you’re one of those people who plan on subscribing to my blog for the sole purpose of winning the giveaway and then quickly unsubscribing (or removing blog posts) as soon as the contest ends, then this is certainly not for you. 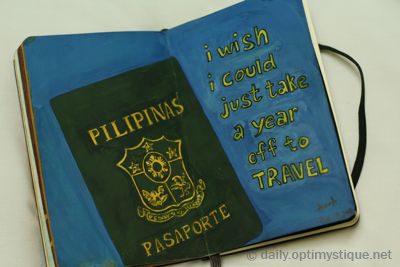 “I wish I could just take a year off to travel.”- Gouache in my moleskine sketch mid 2008. This year has been pretty eventful for me in terms of traveling. I shuffled quite a bit between Manila and Singapore, and had several trips to other countries, including Brunei and Malaysia too. Next weekend, the boyfriend and I are also heading to Bintan, Indonesia for an overnight getaway before I fly back to Manila.